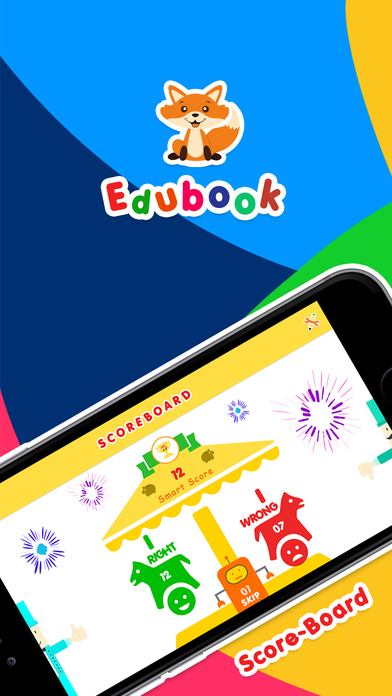 EduBooks is an app containing a number of useful interactive worksheets for pre school and early primary stage children. The worksheets range from ‘Fill in the Blanks’,’ Match the Objects’ and ‘Identify the Objects’ which provides an interactive way of engaging the child with colour and object identification, basic counting, maths and spelling. 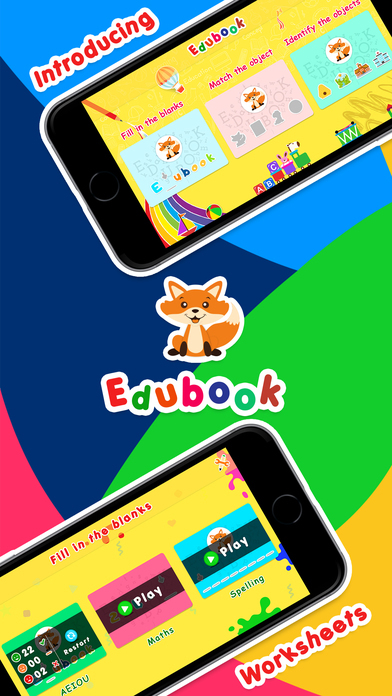 EduBooks is a pleasing app that engages children in the recognition of colours, shapes, objects, letters, numbers and simple maths. Each worksheet is scored and these scores are recorded and displayed on the front dashboard of the application and remain with the programme on return to the game. Downloading the application is straightforward and the game immediately displays a bright colourful (mainly primary with a predominance of yellow) and crisp introductory screen with the three main choices of: ‘Fill in the Blanks’, ‘Match the Objects’ and ‘Identify the Objects’. The background music is innocuous enough and does not intrude on the learning activities, there is a button, however, for the music to be muted. The settings button on the main screen provide the user with a number of sub sectioned choices, mainly self explanatory. The ‘Scoreboard’ section displays a pleasant moving graphic of two horses balanced on a see saw carousel, the red horse representing the incorrect answers the green horse the correct answers, balanced in between the questions that have been skipped. The ‘Edubooks Store’ has two access points, one from the main screen and one from the settings menu, at the time of review the developer had three packages for sale to compliment the free worksheets already provided. The ‘About Us’ section has a parental lock to go out onto the developer web site which lists some of the other applications they have developed. In terms of help guides, if they are needed. The developer has the customary FaceBook page and a well presented YouTube demonstration of the application. The facility to return to the application when you have ventured out of the application is very useful and often overlooked by developers, but not in this case. When the child launches a worksheet they are provided with a general help screen which lets you switch to the keyboard attached to your device, if you have one and there are intuitive icons to help the uninitiated. The individual question display is focussed mainly on the activity through a thoughtful use of colouring ensuring that the child concentrates on the task at hand. The header of the screen displays the current total correct answers score for the worksheet, the topic, and the total wrong answers. The footer provides the child with the option to skip the activity a piggy bank totalling the number of ‘Fox Coins’ they have won and the next question button. All the activities are a clever combination of colours and large display with easy touch and or drag and drop for the child to become involved. Each time a question is correct the ‘Fox Coin’ appears at the top of the screen and drops into the piggy bank accompanied by a cheerful, high pitched ‘Yippee’ sound. Each time a child gets an incorrect answer a rather sad ‘Aww’ accompanies a quick slide across to the next question. Overall the application is very professional, neatly put together with an interesting set of worksheets that will engage children, the game based scoring system is a clever idea to instil commitment through competition. My grandchildren enjoyed it and I was also slightly amused by the game, certainly an app to have in a teacher or parent toolkit for a rainy day activity that can challenge and educate with entertainment! Introducing Edubook for Kids. Now educate your child the fun way! With Edubook for Kids, we bring various worksheets for your child’s educational development. Worksheets like Fill in the Blanks, Match the objects and Identify the objects will provide interactive way of learning like colors and objects identification, basic counting and math and much more. There are multiple worksheets of various subjects that will help your kids remain engaged for a long time and practice more and learn faster. You can even see the progress of worksheets completed and redo worksheets. Once the content is downloaded, you can even use the application without internet. You can also purchase various Edubook Packages to add more worksheets. We’ll keep bringing more worksheets periodically. 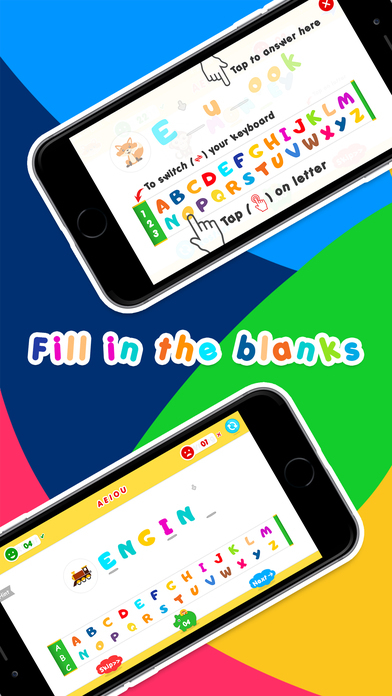 The fun learning app is here.